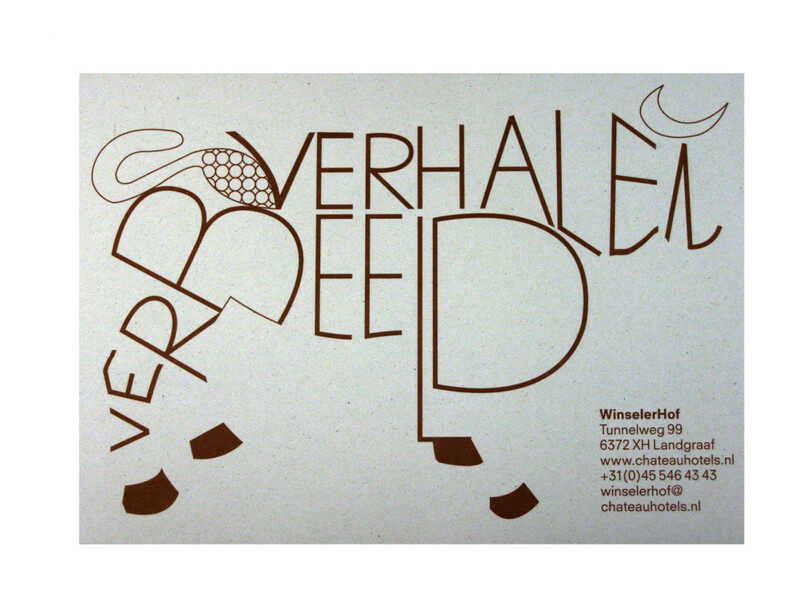 Château Hotels (http://%20www NULL.chateauhotels NULL.nl), Marres Projects (http://www NULL.marres NULL.org/nl/#!/nl/home/) and Bureau Europa (http://www NULL.bureau-europa NULL.nl/nl/) initiated the project ‘Verhalen verbeeld’ [‘Stories given form’]. 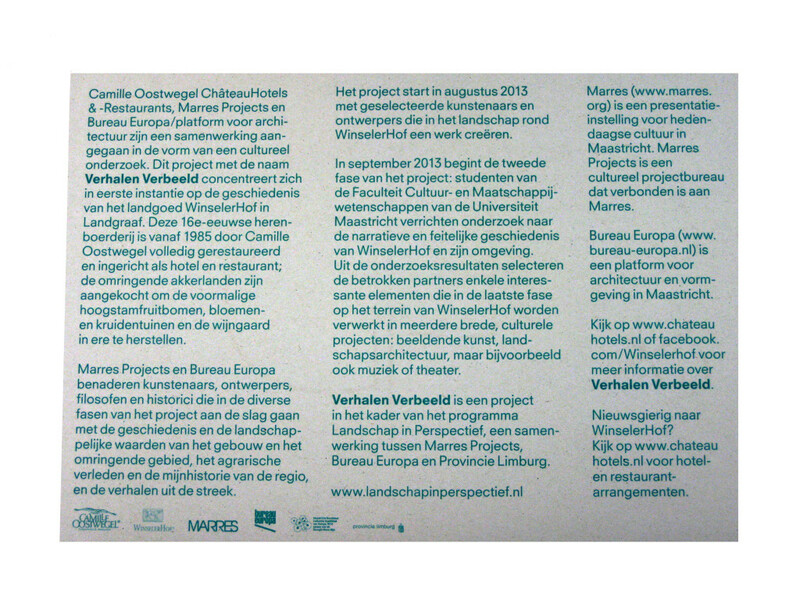 This project concentrated on the history of the estate WinselerHof (in Landgraaf). Various artists, designers, philosophers and historicians were approached to do cultural research, and this resulted in a broad exhibition on the terrain, with cultural projects, landscape architecture, music and theatre. 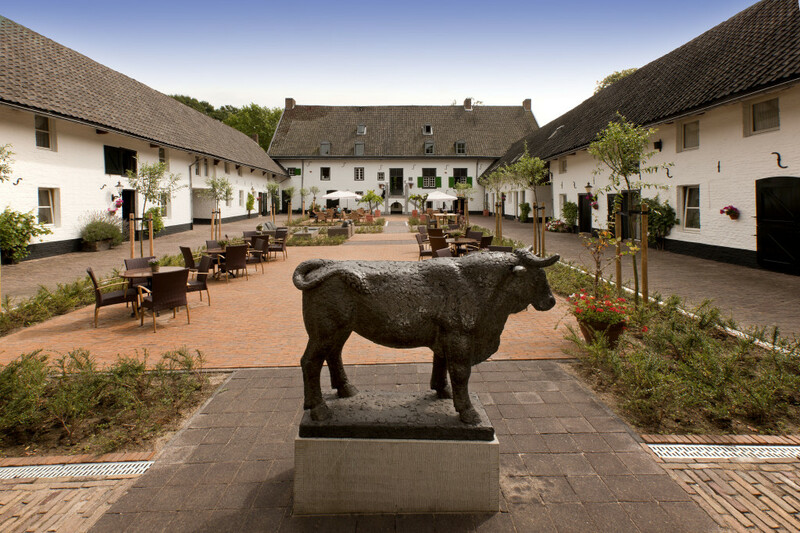 On the estate, there was a big bronze statue of a bull in the garden. I decided to place the title in the shape of this bull and print it in the colour bronze. Please note that ‘beeld’ in Dutch means both ‘image’ and ‘statue’ — so it was a word game using the title of the show.